The pasta aisle is enormous, with every shape and size possible. 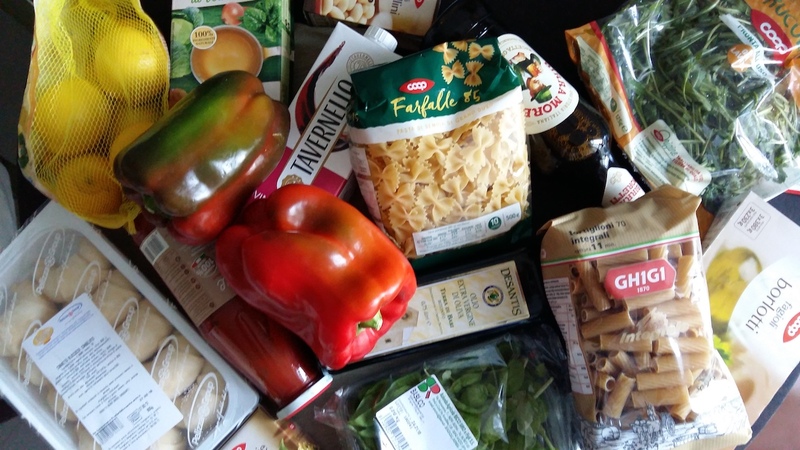 Think of an American grocery store's cereal aisle, and replace it with pasta. There are plenty of fresh vegetables and fruit and it's all Italian, except for the exotic stuff. No Spanish citrus here. No offence to the Spanish. I have recently become a fan of Coop's frozen pastries. 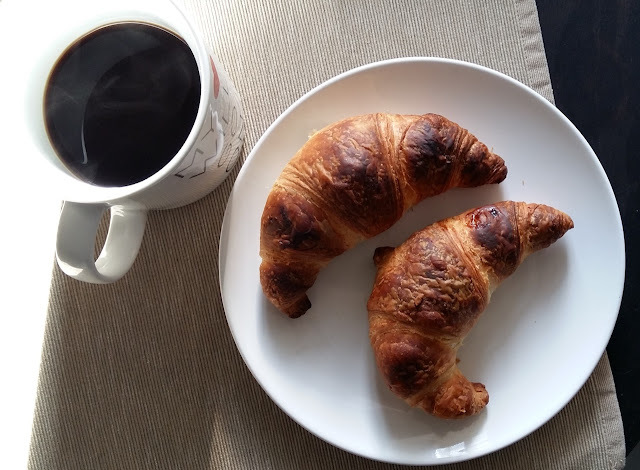 I discovered that I have a working oven in my apartment, and so for less than a price of two fresh ones, I purchased a dozen cornetti with apricot jam. I baked a few the other day and it was plucked right out of a Parisian bakery. Or I guess an Italian one. Then there's the wine. In France, I wouldn't balk at boxed wine, but I never paid it much notice. In Italy, however, I have fallen for the carton of wine. It's basically the same packing they use for fruit juice but with, you know, wine. I guess that means there are more vitamins in it. Anyway, I'm having a ball tasting the different colors. I don't think it gets more detailed than red or white. but I'll keep checking. I just wish they had straws, likes some magical adult juice box. I might be missing out on some amazing outdoor market experience. Please tell me if so. I can't promise I'd go, though. My adult juice boxes pair wonderfully with all of my pizzas, so I have to keep well-stocked.